I have served as NOFA Interstate Council’s representative to the Agricultural Justice Project since 1999. Four different not-for-profits – Rural Advancement Foundation International (RAFI – USA), Comité de Apoyo a los Trabajadores Agrícolas/Farmworker Support Committee (CATA), Northeast Organic Farming Association, Florida Organic Growers/Quality Certification Services (FOG/QCS), – collaborated on the standards and policies for Food Justice Certification, contributing to public discussion and awareness of the people who work in the food system. In December 2014, AJP became an independent 501(c)(3) and my role changed from management committee member to Board member. For two years, we have had a part-time General Coordinator, financial manager, and communications person. The project work is shifting from Board to staff. The first farms and food businesses have been certified in Saskatchewan, CA, FL and NY. Recent outreach should bring another flush of certifications soon. The NOSB Annual Meeting is coming to Vermont, and we really want you to attend on October 27th! On October 27th, organic farmers, consumers, environmentalists, representatives from large organic corporations, and others will be coming to Vermont to discuss organic farming and production practices at the Stoweflake Conference Center in Stowe. They are coming to attend the National Organic Standards Board (NOSB) meeting and will come prepared to make public comment to the board and to witness the discussions regarding which materials should be allowed for use by organic farmers and processors. The Organic Foods Production Act established the NOSB as an advisory committee for the National Organic Program (NOP) in 1990. Although there is disagreement in the industry as to how extensive the board’s authority is to determine organic farming and production practices, what is clear is that the NOSB has authority over the National List of materials that are allowed to be used by farmers and processors when growing, raising, or producing organic products. Twice a year the NOSB has a public meeting in different towns across the United States. The meeting is intentionally moved around in order to give producers in the region where the meeting is being hosted the opportunity to participate in this important event. Typically, NOSB meetings last 4 to 5 days and include presentations by NOP staff reporting on topics that include enforcement activities, new procedures, and work plan priorities. What attendees really come to hear is the 15-member board discussing agenda items and voting on recommendations and materials allowed for use on organic farms and in organic food. A large part of the meeting is comprised of comments from the public. Each individual signed up for public comment is given 5 minutes to address the board and the NOP staff also present at the meeting. In-person public comment is very effective in influencing the members of the committee and helping them understand the unique perspective of the speaker. There are many different opinions represented at this meeting. Often consumers and consumer groups are present asking the NOSB to keep the organic standards strict and meaningful. Experts are often called in to present on different materials and how they are used. Representatives from large corporations are there to present on why a material might be important for their organic processed product. One voice that is frequently missing is that of the small diversified farmer who may not have the means or time to attend the meeting. Therefore, his or her perspective is often not being given a first-hand account. This year’s meeting in Vermont provides a great opportunity to give voice to the concerns of small and diversified producers in our state. Curious about some of the topics that the NOSB is working on and whether they might affect your business? There are 200 materials up for review at this fall meeting. That is an unusually large amount of materials for the board to review and vote on. The NOSB will discuss each of these materials and their importance to organic producers. If they hear from the public that a material is no longer needed or shouldn’t be allowed in organic production, they may vote to remove it from the list of allowed materials. Whether you are a vegetable, livestock, dairy or food processor you are likely to find something in this list that you use on a regular basis. The following are examples of materials that will be voted on at this meeting: hydrogen peroxide, peracetic acid, newspaper without glossy or colored inks, plastic mulch, elemental sulfur, horticultural oils, pheromones, copper sulfate and fixed coppers, lime sulfur, soluble boron products, aspirin, atropine, butorphanol, chlorhexidine, electrolytes, fenbendazole, flunixin, ivermectin, moxidectin, oxytocin, vaccines, lidocaine, dairy cultures, diatomaceous earth, enzymes, flavors, kaolin, yeast, nutrient vitamins and minerals, casings, and more! In addition, there are topics worth mentioning to the committee despite the fact that they will not be on this meeting’s agenda. For example, it will be important for the committee to hear about whether organic vegetable farmers should be able to use biodegradable mulch, or why organic poultry producers should be required to give meaningful outdoor access year round, or why hydroponic production should not be allowed in organic certification. Approximately four weeks before each NOSB meeting, members of the public may submit written comments or sign up to deliver oral comments in person. Check the NOFA website for more information about how to sign up for comments or about the meeting in general. If you only have time to attend one day, a half day, or even just a few hours, it is worth attending to participate or to just witness this important process. In addition, for those producers or consumers willing to address the board, this is your opportunity to get your voice heard about topics important to the organic community. On July 23rd, the House of Representatives passed bill H.R. 1599 by a margin of 275 to 150. This bill, backed primarily by House Republicans, has been given two names. Cleverly branded by its sponsors as the Safe and Accurate Food Labeling Act, the bill has instead become widely known to the national Food Movement as the Deny Americans the Right to Know (DARK) Act. Despite its benevolent title, farmer and consumer groups have seen the DARK Act for what it is: a direct attack on mandatory GMO labeling laws passed by Vermont, Connecticut, and Maine in recent years and an effort to undermine consumers’ demand for information about the food they eat. Cleverly branded by its sponsors as the Safe and Accurate Food Labeling Act, the bill has instead become widely known to the national Food Movement as the Deny Americans the Right to Know (DARK) Act. While much of the House testimony in favor of the Act referenced the need for a national labeling standard, the DARK Act would in fact do just the opposite. By prohibiting FDA from ever requiring the labeling of GMO foods, the Act would codify the current federal policy of voluntary labeling: a policy that has been in place for 14 years, during which time not one food manufacturer has ever chosen to label their products as containing GMOs. If passed by the Senate and signed into law, the DARK Act would not only prohibit FDA from requiring GMO labeling, it would also nullify Vermont’s labeling law slated to go into effect in July 2016. The bill would allow the use of misleading “natural” claims on GMO products to continue, while limiting the ability of states and localities to regulate GMOs in ways that safeguard farmers and consumers. One thing proponents of the DARK Act can’t deny is widespread citizen support for mandatory GMO labeling. In recent years, a multitude of national polls (conducted by ABC News, Consumer Reports, the Washington Post, Reuters/NPR, the New York Times, and others) have repeatedly found that over 90% of Americans want GMO foods to be labeled. While biotechnology companies and junk food manufacturers have long seen GMO labels as a skull and crossbones, a UVM study recently found that GMO labels do not serve as a warning label to consumers. Under Vermont’s labeling law, manufacturers will simply be required to disclose on the package and in plain language whether their product was made with genetic engineering. In fact, labeling GMOs is something these same companies are already doing in 64 other countries around the world, which begs the question: why not here? Unfortunately, the list of corporations and interest groups backing the DARK Act is a lengthy and well-funded one. It includes companies like ConAgra Foods, Dow AgroSciences, PepsiCo and Monsanto. Political contribution reports clearly show that the deep pockets of Big Food were brought to bear in passing H.R. 1599. House members who voted in favor of the DARK Act received an average of $70,426 per vote from interest groups and industry, with some individual members receiving as much as $500,000 from the bill’s supporters. The bill will now head to the Senate for consideration following the August recess. While the DARK Act is expected to receive substantially less support in the Senate as compared to the House, only time will tell whether Big Food can successfully force-feed this legislation to our Congress and our citizens. While the Obama administration has been largely silent on the issue up to this point, one thing is certain: if the DARK Act ever makes it to the President’s desk, he is sure to get an earful. The April 1st Seven Days article Sacred Cows pointedly highlighted the relationship between accepted (and some unacceptable) agricultural practices and the need to protect water quality in our state. 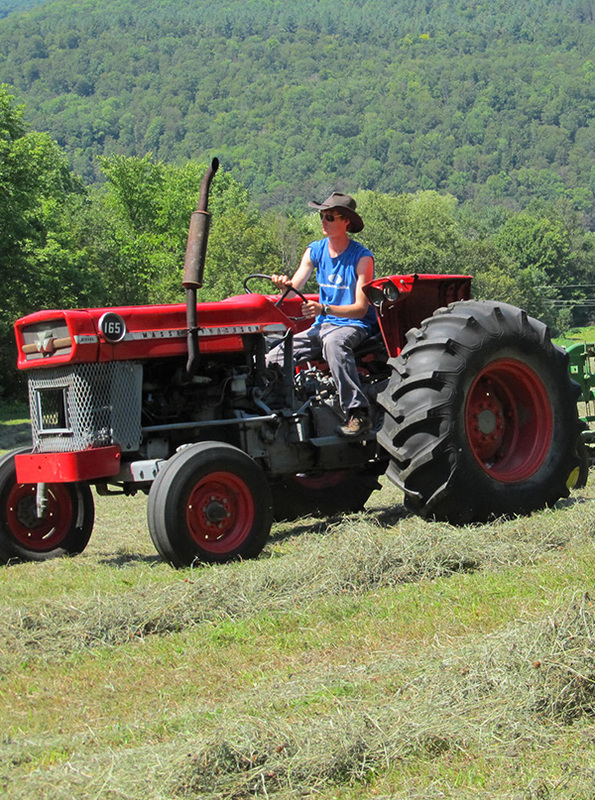 Vermont’s farmers are some of the greatest stewards of our state’s lands and waters, the vast majority of whom care deeply about the land that sustains us all. That said, there can always be bad actors. For Vermont’s organic farmers, there are established guidelines and clear standards in place to prevent soil erosion and other factors than can negatively impact water quality. Under the Vermont Organic Farmer (VOF) guidelines for organic certification, farmers are required to take certain measures to protect water quality, biodiversity, and other natural resources. In order to maintain certification, organic producers are required to implement crop rotation, which (among other benefits) provides erosion control to prevent soil loss and runoff. Livestock yards and feeding areas must be managed in a way that prevents waste runoff into nearby surface waters, and pastures must be managed in a manner that does not put water quality at risk. Organic farmers’ pasture plans must specifically include a description of practices used for erosion control and protection of natural wetlands and riparian areas. These are just a few examples. While there can be instances of non-compliance on organic farms as any other, all organic farms in Vermont are monitored through annual inspections. VOF (Vermont’s organic certification program, operated by NOFA Vermont) is also required to conduct a certain number of unannounced inspections each year. In part to help support these monitoring and enforcement efforts, organic farmers pay substantial certification fees each year. NOFA Vermont supports the State’s efforts to improve water quality and believes that every farmer and in fact, every citizen must be a part of the solution. As Vermont’s organic certifier, one way VOF can help to support water quality protection is to assist the state in verifying organic farmers’ compliance with updated AAPs (accepted agricultural practices) as part of the established inspection process. Such a solution would avoid excessive and expensive repeat inspection visits, since organic inspectors already visit organic farms at least once per year. Furthermore, since organic farmers already pay significant fees in order to have their operations regularly monitored and inspected, certified farmers should be exempt from the State’s proposed permit fees under the current water quality proposal. As the State moves forward with its plans to improve water quality, care should be taken to find a solution that is practical, enforceable, and provides appropriate protections for our state’s waters, as well as farms and farmers at the heart of Vermont’s rural economy and character. If there’s one policy issue that has been making waves in Vermont’s farming community in this early part of 2015, it is water quality. While the condition of Lake Champlain and Vermont’s other waterways has been a source of concern for years, Governor Shumlin’s inaugural address in January cast new light on the subject, calling for changes to common agricultural practices and stricter enforcement of water quality regulations. House bill H.35, introduced in late January, aims to carry out this agenda. A Senate version, bill S.49, is also under consideration. Though there are some differences between the bills, they share a common goal: to enhance protections of Vermont’s waters. One key component of both bills is a requirement to revise existing accepted agricultural practices (AAPs), a set of practices with which all farms are expected to be in compliance. The bills also propose to create a statewide definition for “small farms” for the first time ever, and to require that small farms certify their compliance with the revised AAPs and all water quality regulations. Perhaps the most controversial aspect of the proposal is a provision that ties participation in the Current Use Program to compliance with AAPs and other water quality regulations. The Current Use penalty was removed by the House Agriculture Committee, but could still be reinstated at a later stage. The good news for organic farmers, and Vermont’s waterways, is that many of the protections called for in H.35 include practices already being used on organic farms to improve soil health, reduce soil erosion, and curtail nutrient runoff into Vermont’s streams, rivers, and bays. Organic farms are required to use tillage and cultivation methods that minimize soil erosion, to maintain buffer zones between tilled land and waterways, and to manage pastureland as well as manure and other nutrients in a way that does not put water quality at risk. Vermont’s organic farmers are setting a standard for practices that protect our state’s natural resources, and can be leaders in this critical effort to improve water quality. Vermont’s Working Lands need your support! NOFA Vermont is a member of the Working Lands Partnership, a collaborative effort that is working to support local agriculture and forestry, grow and attract farm and forest entrepreneurs, and conserve Vermont’s Working Landscape far into the future. You may have heard in the news that this is an unprecedented year of fiscal challenges in the state of Vermont. As a result, lawmakers are considering major cuts across the board. We need YOU to help us keep the Working Lands Enterprise initiative on the priority list. At least one proposal being considered would end the program entirely. Please contact your HOUSE REPRESENTATIVE before March 10th and ask them to keep the Working Lands Enterprise Fund on the budget priority list. Find out who your HOUSE REPS are – click here and search by your town. For EACH of your Representatives (you will have one or two), click on their name to find their email address. Send an email asking them to Make the Working Lands Enterprise Fund a priority in the FY2016 budget. Personalize your email by saying why the Working Lands Enterprise initiative is important to you. If you need some reminders of why the working lands enterprise initiative is important, you can visit Vermont Council on Rural Development’s Working Landscape Partnership page. Please be sure to contact your House Representatives before March 10th, so they know the Working Lands Enterprise Fund should be a priority for the budget when they return after town meeting break. Thanks again for all you do. Your support has been so important in this effort, and your action now will really help to keep the Working Lands Enterprise Fund strong. Please submit comments to the FDA by December 15th about how the Food Safety Modernization Act (FSMA) impacts your farm or business; FSMA, passed in 2011, represents the most sweeping changes to our nation’s food safety system since the 1930s. FSMA may have significant impacts on Vermont’s farmers, food producers, and consumers. In response to the thousands of comments FDA received in response to its first proposed rules, the agency has now released a revised set of rules for public comment. Now is your chance to provide feedback on how these new rules will affect your business and/or your access to fresh, local food. You don’t have to be a policy expert to comment! Whether you’re a farmer, food producer, processor, or consumer, your comments can make a difference. IMPORTANT: Comments must be submitted by December 15th to be considered! In an effort to help our members draft effective comments to FDA, we’ve put together some guidance and resources on the provisions that will have the greatest impact on NOFA-VT’s farmers, processors and consumer members. Share Your Story! Not clear on how FDA’s proposed rules will affect you or your business? FDA needs to hear that too. In your comment, explain where you feel FDA needs to provide further clarification or guidance on its proposed rules. Not sure if you qualify as a farm, a facility, or both? Describing your unique operation in your comments to FDA will help the agency to gain a better understanding of the incredible diversity in food and farming business models. FDA has adopted the mantra “Educate before you regulate.” We believe that education needs to go both ways! If you have any questions, don’t hesitate to contact me. Please send me a copy of the comments you submit, as it is also very helpful for us to know what is important to you so we can incorporate those concerns into our comments. Food safety regulations will affect farmers and food processors throughout the country, and NOFA Vermont has been one of many voices calling for these regulations to be amended to be appropriate for organic and small-scale farms. We hope that concerned farmers, processors, and consumers will continue to make their voices heard, as well. This announcement comes from the Vermont Agency of Agriculture. The Vermont Agency of Agriculture, Food, and Markets (VAAFM), in conjunction with the Northeast Association of State Departments of Agriculture (NEASDA), will host an open Listening Session on November 17th, 2014, to offer farmers and food processors an opportunity to provide comment on new supplemental rules proposed by the federal Food Safety Modernization Act (FSMA). Attendees will have an opportunity to pose questions to and seek clarification from a panel of subject matter experts from the Food and Drug Administration (FDA) that will be present at the meeting. The listening session will take place from 9:00am – 1:00pm in the Chase Center located at the Vermont Law School in South Royalton, VT. While oriented towards regional farmers and food processors specifically, this listening session is open to all interested parties from across the northeast. FSMA, the most sweeping reform of our nation’s food safety laws in more than 70 years, was signed into law by President Obama on January 4, 2011. FSMA aims to ensure the safety of the U.S. food supply by shifting the focus from responding to contamination to preventing it. On September 29th, 2014, the FDA released proposed supplemental rules to four of the seven existing rules, largely the result of an unprecedented level of comments and valuable input received from farmers and others directly affected by these regulations. More flexible criteria for determining the safety of agricultural water for certain uses and a tiered approach to water testing. A commitment to conduct extensive research on the safe use of raw manure in growing areas and complete a risk assessment. Pending those actions, FDA is deferring its decision on an appropriate time interval between the application of raw manure, the harvesting of a crop, and removing the nine-month interval originally proposed. The FDA proposes eliminating the 45-day minimum application interval for composted manure that meets proposed microbial standards and application requirements. 2. The Current Good Manufacturing Practices and Hazard Analysis and Risk-Based Preventive Controls for Human Food rule would require makers of food to be sold in the United States, whether produced at a foreign- or domestic-based facility, to develop a formal plan for preventing food products from causing food borne illness. Requirements that human and animal food facilities, when appropriate, test products and the food facility’s environment, as well as implement certain supplier controls. As Vermont becomes the first state to enact mandatory GMO labeling, those opposed to labeling are hoping to erase our victory with federal legislation. “Friends” of multinational food and biotech corporations in Congress have recently introduced a bill that would authorize the FDA to preempt and invalidate state-level labeling laws in Vermont and across the country. Opponents have dubbed the bill the Deny Americans the Right to Know (DARK) Act. House Committees are expected to begin hearings on the bill this summer. Also recently introduced are two congressional bills that would require nationwide mandatory at the federal level, along the same lines as Vermont’s labeling law. (We’re glad to report that Vermont’s congressional delegation has already signed on as cosponsors of these bills.) National consumer, agriculture, and environmental groups are busy organizing political action and public awareness campaigns in support of these bills and against the “forces of DARKness”. It is going to be a hot time in Washington over the next year as these bills progress! We will be working with our members, our national allies, and our congressional delegation to insure that a strong and mandatory labeling law will be enacted nationally. There are many websites with further information. We recommend Beyond Pesticides for a good overview. Gov. Shumlin will sign the GMO bill next week! We’ve just got word that Governor Shumlin plans to sign H.112, Vermont’s GMO labeling bill, next Thursday, May 8 at 2:30 PM. We’re planning a statehouse lawn celebration – please join us! More details coming soon – follow us on Facebook or Twitter for the latest.